Domenica Regazzoni was born in Valsassina (Lecco - Italy), in 1953. She started painting in the early 1970s attending evening classes at the Brera Academy of Milan. 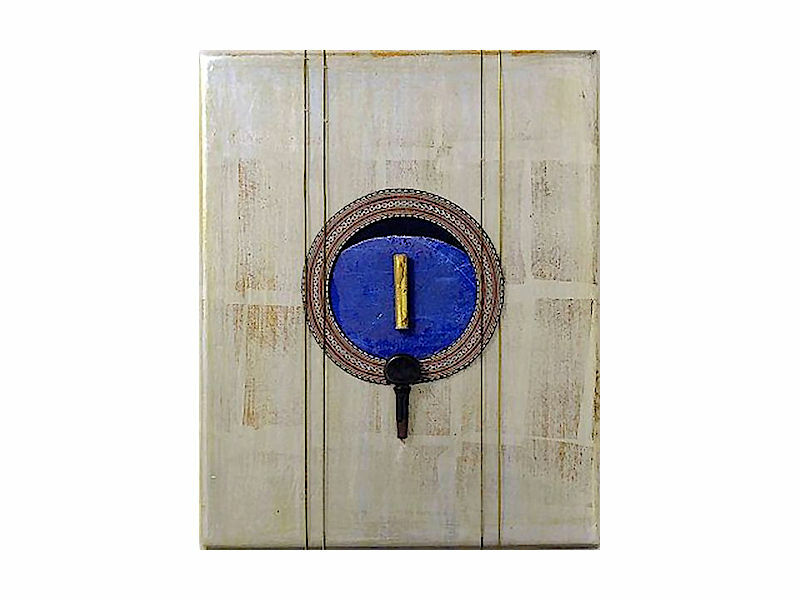 She slowly abandoned her early figurative style to adopt a more abstract and informal approach. 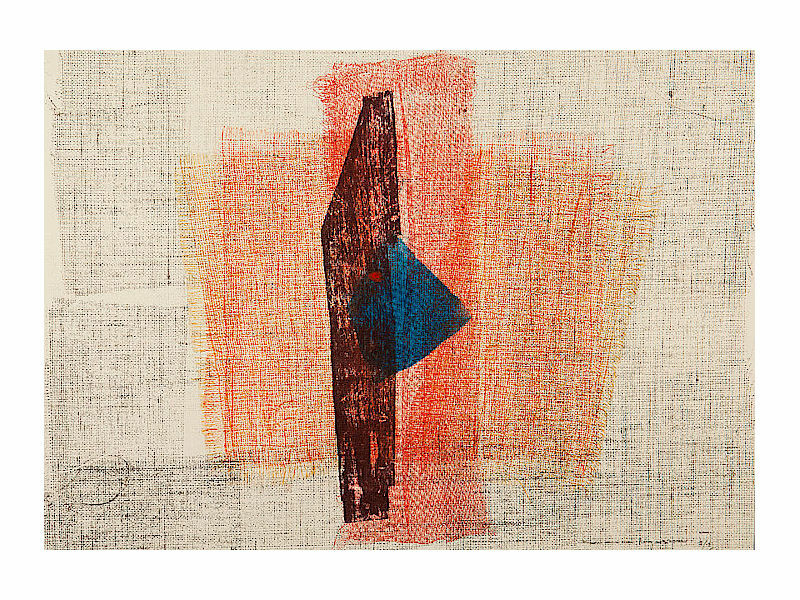 Starting in the early 1990s her work began combining elements of painting, sculpture, music and poetry, bringing to the fore the intimate affinities that connect colour and materials, sound and words. 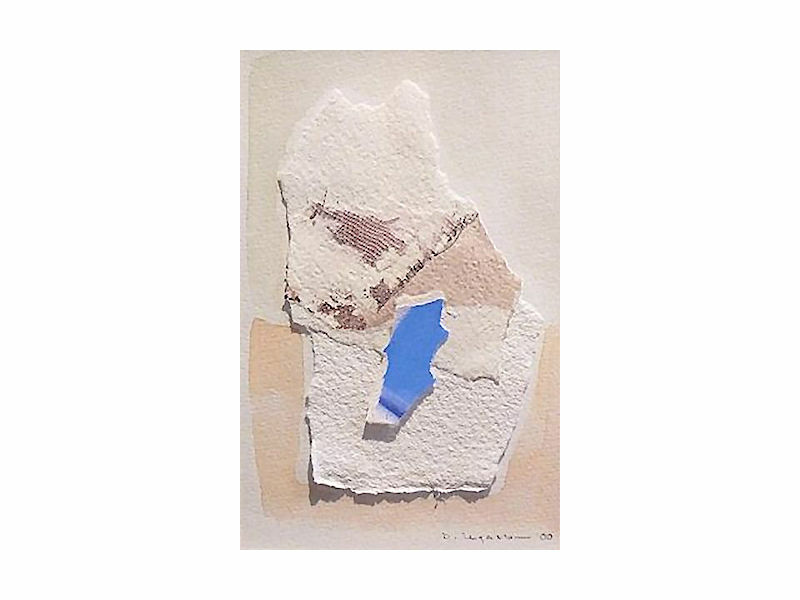 In the ‘90s inspired by the most poetic compositions by songwriter Mogol and singer and songwriter Lucio Dalla, she conceives her successful exhibitions "Colore Incanto" (catalogue edited by Paola Gribaudo, Turin) and "Regazzoni & Dalla" (catalogue Galleria Blu, Milan). She also exhibits solo at Ginza Center Point Gallery, Tokyo (1997) and in numerous Italian cities including Bergamo (Centro Culturale San Bartolomeo, 1996), Milan (Fondazione Stelline, 1998), Rome (Vittoriano in the year 2000) and Bologna (in the deconsecrated church of San Mattia, 2001). 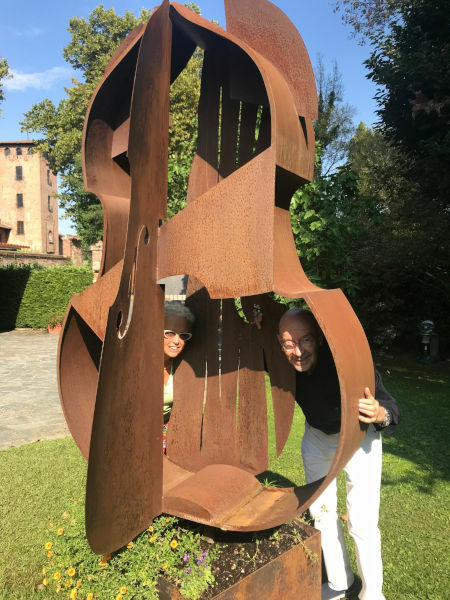 In 2003, after the loss of her father, the great Lombard violin-maker, Dante Regazzoni, Domenica feels the need of organizing an exhibition devoted to him: "Dal Legno al Suono" (catalogue Skira, edited by Gillo Dorfles, 2003), a veritable celebration of the violin-maker’s art and in her father’s memory. This exhibition travelled, each time enriched with additional works, at the Sala d’Arme, Palazzo Vecchio in Florence in 2003, at the Teatro dal Verme in Milan in 2004, at the Museo Civico Villa Manzoni of Lecco in 2005, and at the Auditorium Parco della Musica in Rome in 2006. 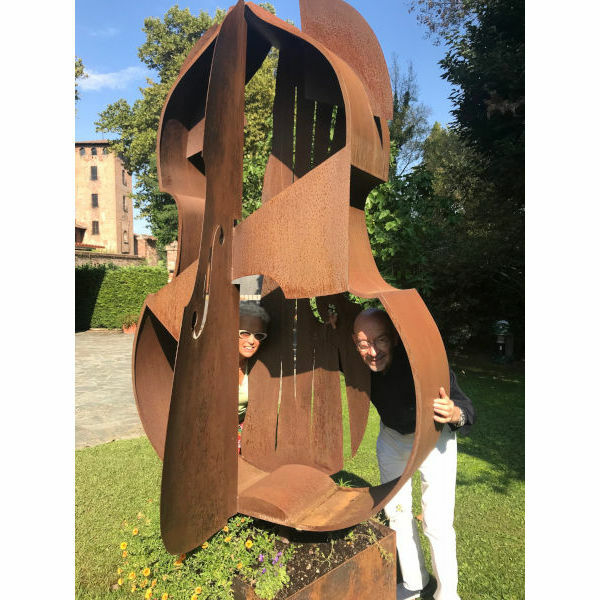 The exhibitions inspired to the violin’s art continue in 2006-2008 with the exhibition "Lo spartito del sogno" conceived and developed by Domenico Montalto at Bocconi University of Milan and the Miyawaki Gallery, Kyoto, Japan (From wood to sound). In October 2008, the artist inaugurates the exhibition "Scolpire la musica" (Skira catalogue by Martina Corgnati) at the International Museum and Music library of Bologna. Since 2007, she starts working in the graphic art field at Giorgio Upiglio atelier, with whom she collaborates until 2013, year of his death. 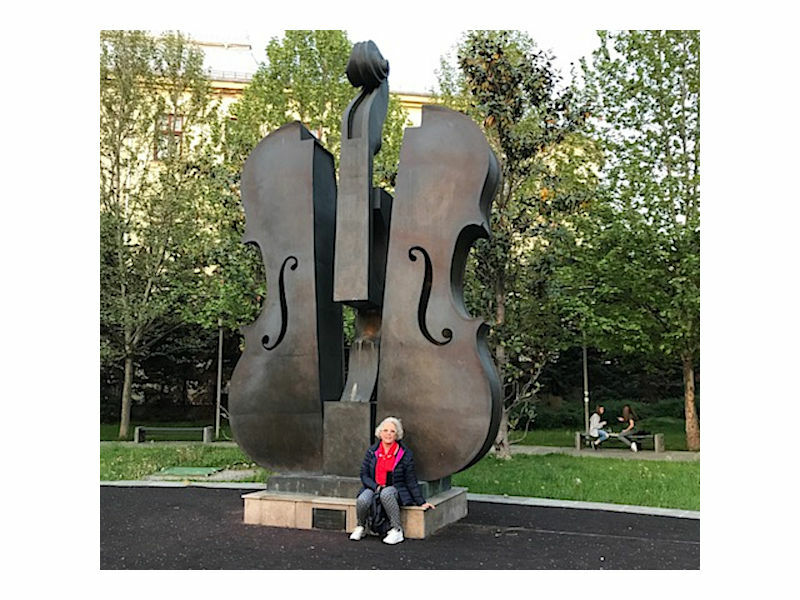 In 2009, a big bronze sculpture "The Broken Violin" was installed permanently in Coltea Park, University square of Bucharest (Romania). 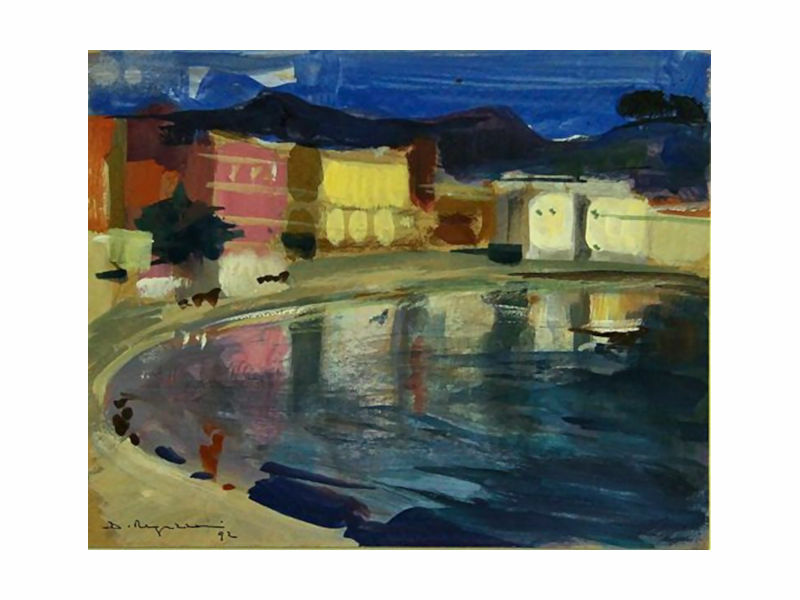 In 2010, the Municipality of Sestri Levante organized a retrospective exhibition of the artist’s paintings inspired by the Ligurian town created during her frequent stays in the ‘80. In 2011, the artist presented some works in an exhibition organized in Turin in the context of the events related to the 54th Venice Biennale. In 2012, she performs together with the great photographer Gabriele Basilico arranging an interesting exhibition at an art gallery in Milan. In the same year, she had two solo exhibitions in China: in the Italian Shanghai Center (ex-Expo 2010) and in the city of Suzhou. She also took part in the Shanghai Art Fair, International trade exhibition for art and craft industry. In April-May 2013 she returns to Shanghai for a new exhibition at Tongji University organized by the Department of Architecture and Urban Planning. In October, of the same year, she holds a solo show in Strasbourg at the North Gallery of the European Parliament. 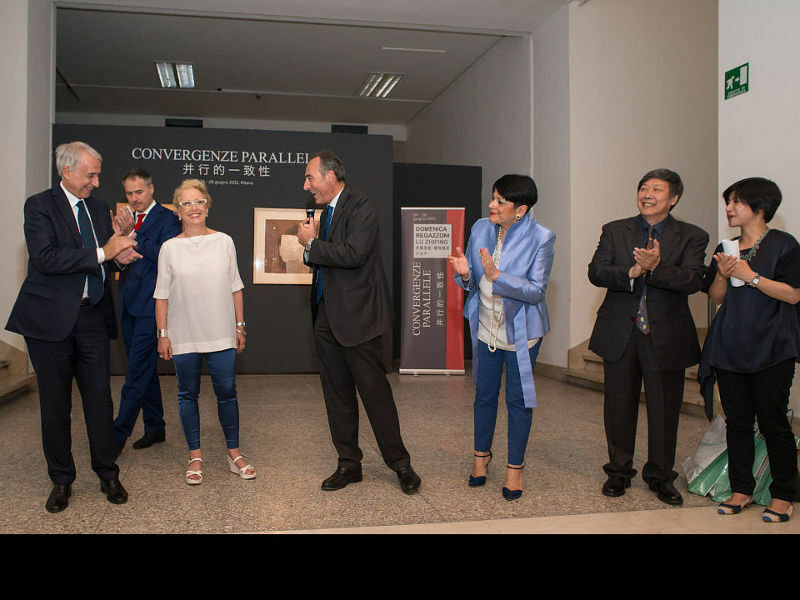 In June 2015, she organizes the monoprint "Convergenze Parallele" (Converging Parallels) exhibition together with the Chinese artist incisor Lu Zhiping in collaboration with the Shanghai International Association. The exhibition at Permanente Museum in Milan (Allemandi catalogue Turin, by Ivan Quaroni) was included among the events ExpoinCittà. 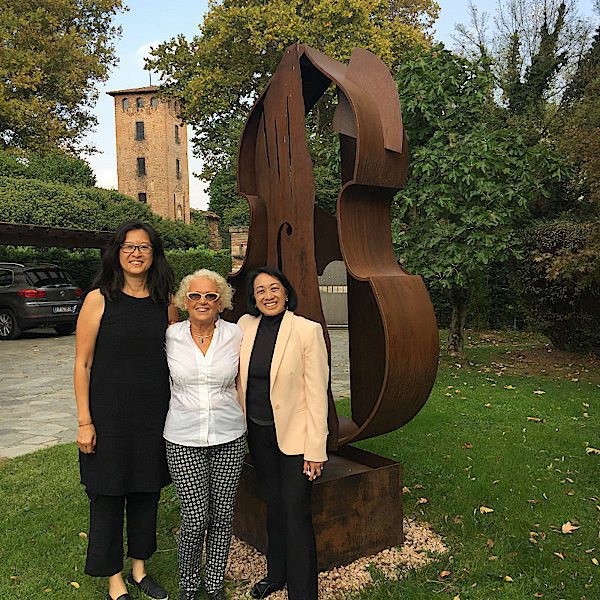 In 2017, she organized two solo exhibitions in Sestri levante and Milan, and participated at the Esposizione triennale di Arti Visive in Rome. Among her publications, to be mentioned the illustrations of the collection of poems by Antonia Pozzi "Canto segreto" published by Vanni Scheiwiller for the prestigious anthology “all’insegna del pesce d’oro” (1992) and a monography dedicated to Haiku poetry by Viennepierre Editor (2000). "Domenica Regazzoni nelle sue opere fonda un dialogo con la pittura che si fa visione del mondo lirica e quasi trasognata ma mai distaccata dal sensibile"
"Sono quadri sorprendenti, svelano delle sfumature dei miei brani che io stesso non conoscevo. Aggiungono significato e completano le mie canzoni"